Right as we were getting ready for our big move to Colorado I got an email asking me to be a part of the blog hop for Samarra Khaja’s new fabric line Geogram with Lecien Fabrics. Despite having so much to do with the move, I could not say no the the chance to make something with this gorgeous fabric line. As soon as I saw the fabric line I fell in love with it, and it’s even more amazing in person. It has 30 SKUs and a variety of precuts and will be in stores this month. The colors are so incredibly vibrant, I immediately knew I would be making something rainbow. Because of the move I was nervous to commit to making an entire quilt, so I settled for a mini. 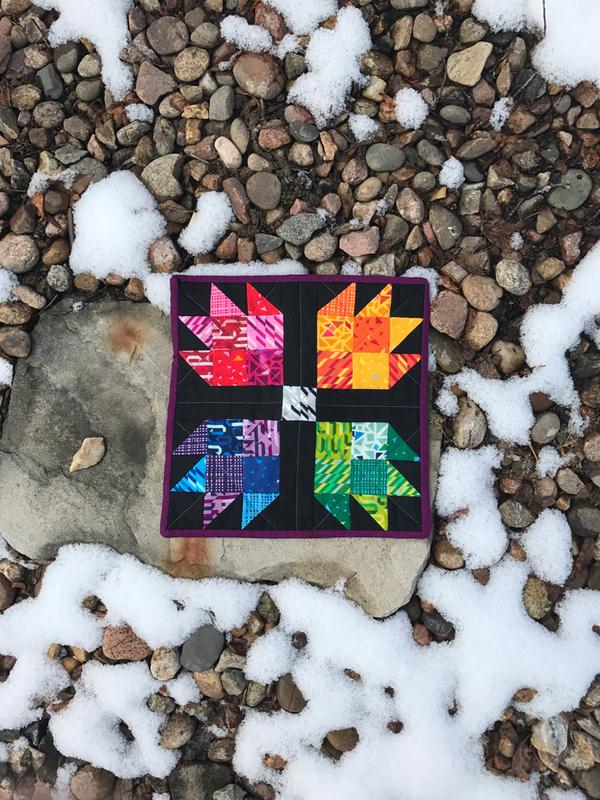 I recently made a bear paw quilt for a bee exchange on Instagram and I knew this would be a fun way to show off a rainbow of prints from Geogram. I was torn between using black or white for the solid, but I’m so glad I went with black. I love how much it helps the fabrics pop. 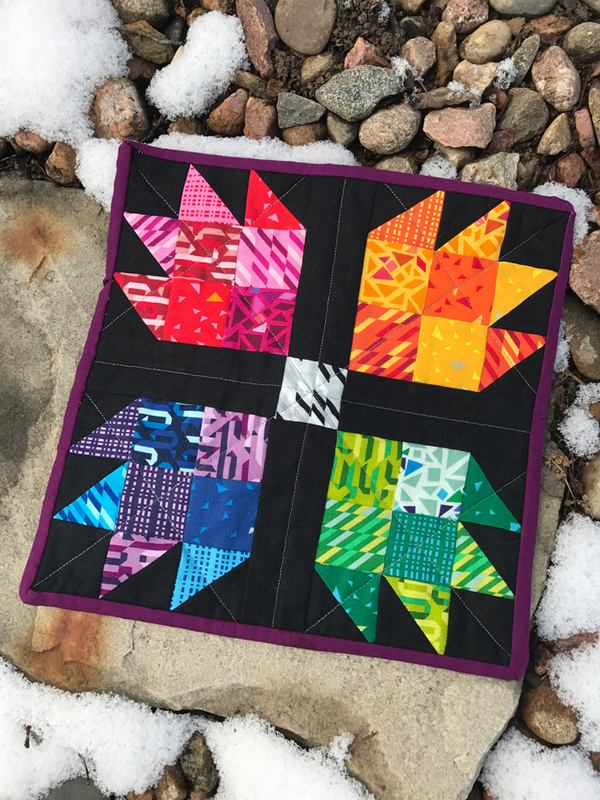 Though, now that I’ve made this mini, I can’t stop thinking of how much I want to make an entire quilt like this now!